As the owner of more than a few guitars, my standard response to people who believe that is a tad excessive is: “You can never have enough guitars.” Now I have expert supporting evidence for that stance. 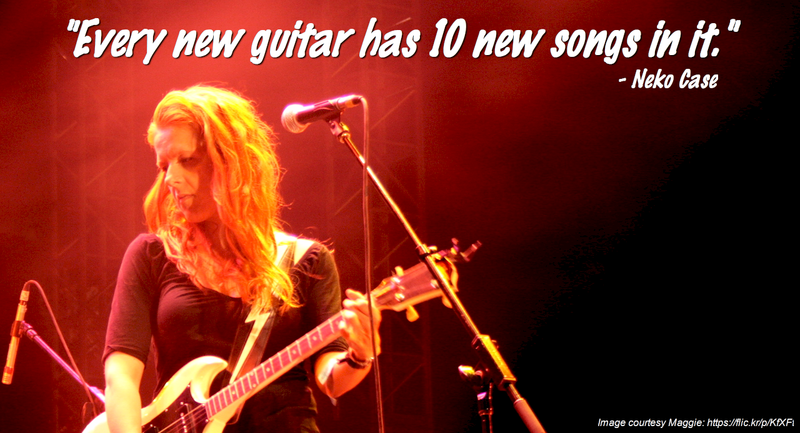 In this interview with NPR, Neko Case declares her love for her Fender Jazzmaster guitar. I can confirm that the love is justified. My friend John Kuehn owned one and to this day, it remains the best guitar I’ve ever played.